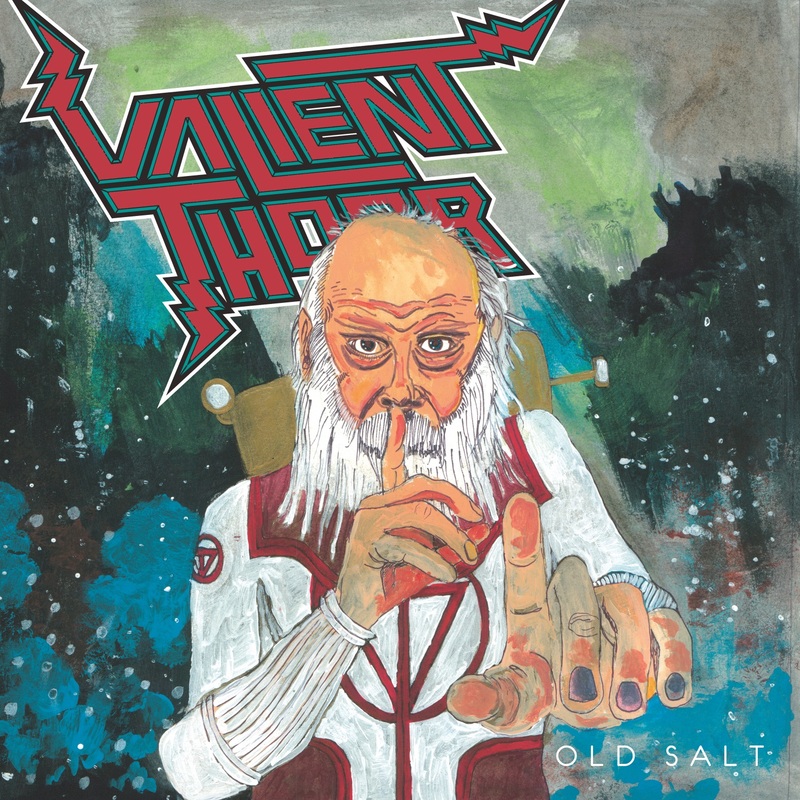 The planet Venus is not well known for its heavy metal exports, but Valient Thorr have been trying to change that for the past sixteen years. Valient Thorr hail from deep within Venus, from a place called Burlatia. Or maybe North Carolina – it’s a bit murky. Regardless, they are back now with Old Salt, their sixth studio (and I use that term loosely here) release. One look at the album and it’s clear we shouldn’t take Old Salt too seriously. The hand drawn (and poorly at that) and painted cover features an old space captain atop the band’s comical ’80s-style logo. The promo shots are no different, featuring the band wet and shirtless, looking like alley cats that have been stuck out in the rain. The album opens with “Mirakuru,” a prototypical Vailent Thorr song. The playing is fast and loose, the vocals shouted out with horrible mic technique, and one guitar track has so much background hiss one thinks they’re listening to an old cassette. The song’s accompanying video is just as amateur and comical, with the band basically beating the crap out of each other for four minutes. All in all, this sets ups up for what we are in for the rest of the way: garage metal with a lot of influence from bands like MC5, the New York Dolls, the Stooges, and even Andrew W.K. The feel and style of the songs don’t really vary much, although tempo and hooks do have a lot of variety. The only odd duck on Old Salt is “Linen Maker,” which starts with an extremely lo-fi acoustic guitar melody that sounds as if it was recorded in a bathroom stall. Oddly, halfway in the guitar becomes hi-fi, although the playing is still sloppy, of course. Two minutes of this leads into “The Shroud,” which is much more in line with what the Thorrs are known for: frantic beats and goofball lyrics. Love them or hate them, Valient Thorr are here to stay. Old Salt is exactly what we’ve come to expect of the Thorrs, and they deliver an exuberant, crunchy, sleazy, messy album full of odd party songs. They remain more of a novelty act, though, and the replay factor here is fairly low. That being said, give it a listen when you need a good chuckle.